Sports Planning Guide spoke with Shaun Keough, director of events for Traveling Teams, the leading provider of hotel accommodation services for youth sports teams and event directors. We asked Shaun about Traveling Teams’ history, unique position within the sports planning world and where he foresees the industry going. SPG: Give us a background on Traveling Teams? How did the organization come about? Shaun: Traveling Teams started and was founded about 18 years ago. There was a need that our president saw between hotels and teams. The sports industry 18-years ago was not quite what it is today and the travel arrangements of going to an event and needing hotel accommodations was not nearly as organized. There was a struggle between teams and hotels in finding what it was that teams were looking for. What type of organizations and tournaments do you work with? We consider having multiple customers, from the tournament directors themselves and the tournament organizers that are putting on the events to the attendees that are attending them, and also then to the hotels. We are a service to all three and we want to make sure that we can provide good service to all three. Is there a minimum threshold or size for an event that would use a third party service like Traveling Teams? We typically handle large scale events that bring in a significant amount of teams travelling that would then require overnight accommodations. We’ve also worked with smaller events in rural areas. We’ve worked with 900 team tournaments in major metropolitan cities (but) there’s really nothing too small or too large for us. We are only as good as our tournament organizers are and we play off their success and vice-versa. Are there any sports that tend to benefit more from your services? Or maybe you’re seeing some trends where some sports are outperforming others? There’s a lot of niche sports out there that are making their trek-up. I think it’s amazing for the sports industry as a whole. You’ve got your core sports that we typically work with, like soccer, hockey, baseball, basketball and softball. Let’s talk about ‘Stay to Play.’ What is the general landscape around ‘Stay to Play’ with tournament organizers? The ‘Stay to Play’ concept, when done the right way can be a very valuable asset to not only the tournament organizers but the teams in the hotels and cities alike. I don’t necessarily think that the stigma around ‘Stay to Play’ has died down or will go away. When done the right way it will benefit everybody, from negotiating lower rates to providing true economic impact for cities, CVB’s, and sports commissions. There’s been a noticeable rise in home-sharing with sites like AirBnB, VRBO and Home-Away. How does that impact not only that business, but overall the landscape of how teams are travelling? I can definitely see the appeal in staying in a VRBO or AirBnB; having that luxury of a full kitchen and multiple bedrooms and living rooms, just that added extra space that not too many hotels will give you. My main concern is safety and I think that also could be the same concern of many event organizers or even families that travel. Maybe why they choose not to go that route. What misconceptions have you had to overcome through the years? I think a lot of it has to do with us been the middle-man. Hotels a lot of times are used to working with the groups directly. When it comes to organizing on a large scale with a few hotels and with hundreds of teams, I think it’s just getting everybody to understand the bigger picture. That means we are not only doing this for the event organizers or the city, we’re doing it for the customer, teams and hotels. Having that buy-in from everybody will only improve the bigger picture concept in making sure everybody understands that this is for everybody, this is for the city itself and everybody that is involved in it. Let’s talk about the logistical process of how the service works. What happens after that initial contract is in place? How are bookings made? We contract with the event organizer and then it gets filtered down to a team that we have here on our end that goes out and actually contracts all of the hotels. We negotiate rates, value added items, and added amenities. We will work all of those into our agreements with the hotels so that when it is time to start selling the rooms and booking the teams they have a list of hotels to choose from. They can see each hotel and what it is willing to offer to try and capture that business. Jeff: How are customers typically finding you? While we have a sales team that does a lot of research and reaches out to customers that we have, a good portion of it though is word-of-mouth. What does the future of Traveling Teams look like? The thing about Traveling Teams is we really focus on one thing and that’s providing hotel accommodations for youth sports. We don’t try to do too many things that are outside of our realm of expertise outside of what we know. I focus on making sure we’re doing a good job here on our end in operations and sales, and just taking care of our customers. We’ve got a great amazing staff behind us that helps me to sleep better at night. 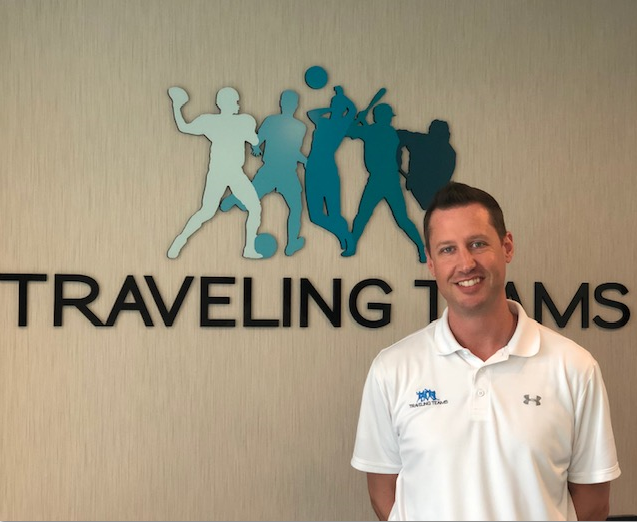 Sports Planning Guide spoke with Shaun Keough, director of events for Traveling Teams, the leading provider of hotel accommodation services for youth sports teams and event directors. This year's US Sports Congress returned to Savannah, Georgia, hosted by the Savannah Sports Council December 6-11 at the Hilton Desoto, just a few blocks from the city's premier river walk and the famous Forsyth Park. Here is our Twitter recap of this year’s top US Sports Congress moments!